When an emergency occurs regarding locks and keys, it is important to receive immediate service and the best locksmith service available. We, at King Locksmiths, are proud to offer our Locksmith Capitol View DC team for customer service, in the Washington DC area. We are locally owned and are proud of our crowned lion logo. This means that not only are our customers royally treated but that our work is reliable, guaranteed and performed by experts in the field. Concerned with our community, we are also proud to offer a 10% discount for Military, Students, Seniors and Crime Victims. Our locksmiths have a minimum of 5+ years of training and experience. Carefully selected, they can handle any type of automotive, residential and commercial keys and locks. We are also proud to offer emergency service on a 24/7 basis to handle things that need immediate attention, such as lockouts, ignition problems, lost keys, jammed safes, and so forth. We work hard to ensure that our customers not only receive first class service but are also are safe, secure and satisfied with our service. These are just a few of the many services we, at King Locksmiths, provide at our Capitol View Locksmith customers in Washington DC. All major credit cards are accepted. Call the number below and ask for our Locksmith Capitol View DC team and let our friendly staff assist you with any question regarding keys. 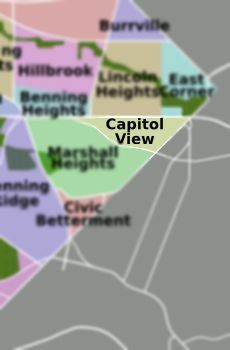 Locksmith Capitol View DC Services with King Locksmiths https://kinglocksmiths.com/capitol-view-dc/ 4.2/5 based upon 6 reviews.